We are looking at putting the Marazzi American estate spice in our home. Are you still happy with it? Yes, we are. 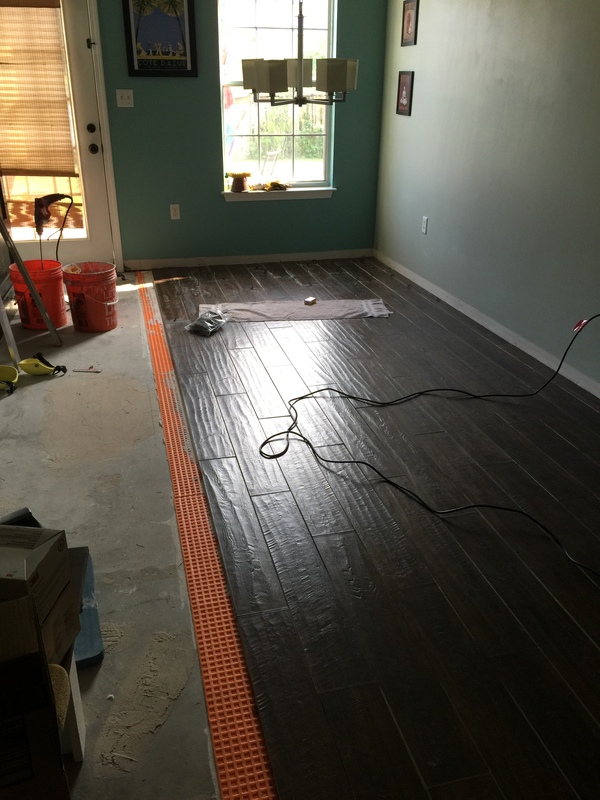 If we didn’t live in such a sandy area, we would choose hardwoods over tile, but this has been the best choice for us…and if we had it to do over again, we would definitely make the same choice. People still have a hard time believing it’s tile and literally have to feel the coolness of the porcelain because of the lasting beauty and realistic look of the Marazzi estate in spice. It was a pain to lay but worth it.